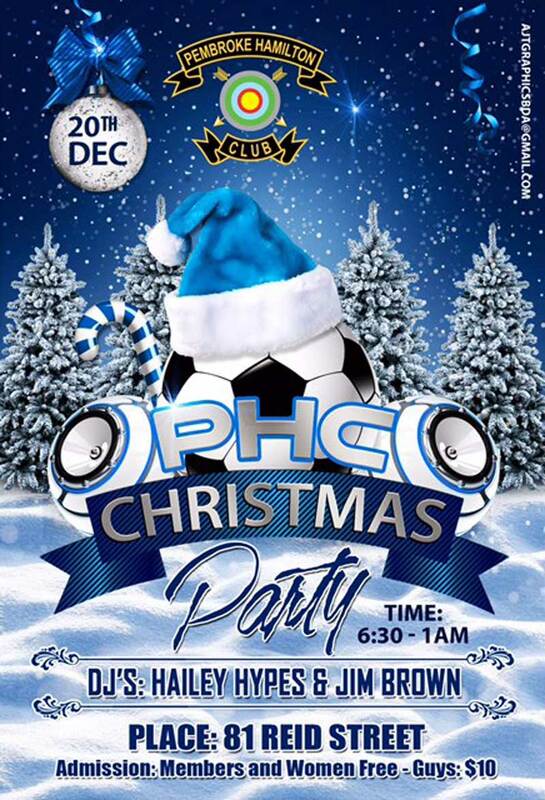 Pembroke Hamilton Club [PHC] will host its annual Christmas Party on Sunday, December 20th at the PHC Building on Reid Street with the party kicking off at 6.30pm. A spokesperson said, “It all goes down following the football match at PHC Field featuring Robin Hood and PHC Zebras [3:00pm kick off]. For more information, contact PHCZebrasBDA@gmail.com.